AN Eastriggs musician says he “can’t wait” to see one of the most hotly anticipated films of the year – as it will feature his own vocal performance. John Nelson entered a competition back in May this year to have his vocals featured in the Queen movie Bohemian Rhapsody, released in UK cinemas this week. And he was surprised to receive an email confirmation that his voice had been added to the choral crowd scene in the Live Aid section of the movie. John said: “I seriously did not think I would get picked. Queen fans from across the globe were invited to submit recordings of their versions of the iconic Queen track, with the best versions being layered electronically at Abbey Road Studios to create the effect of a crowd singing along with Rami Malek’s Freddie Mercury. Malek has attracted rave reviews from critics for his portrayal of the legendary frontman. 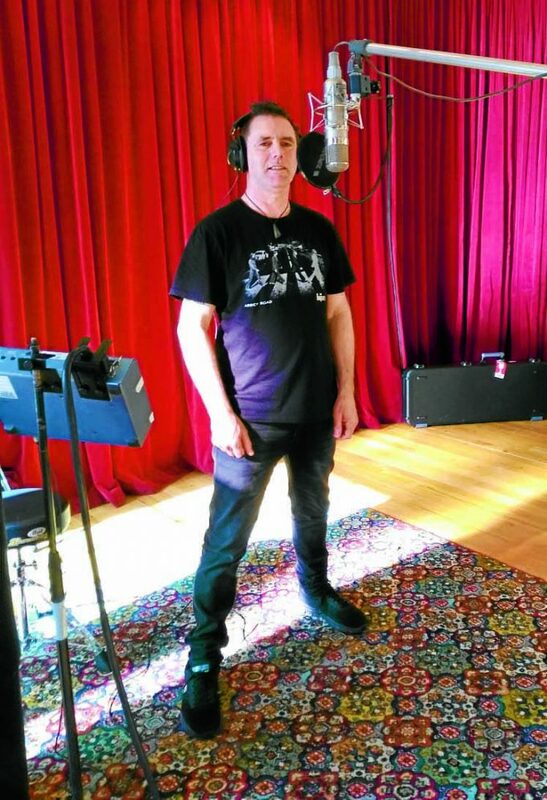 Now living in Blenheim in New Zealand’s wine region, John is currently recording a debut album in Auckland alongside fellow former Eastriggs man Tony Thorburn with their band Late Model European. The album is due to be released next year. To find out more about how John’s performance was integrated into the Bohemian Rhapsody movie, visit www.youtube.com/watch?v=ljxu2EHV5XA.